We are delighted that Tori has produced another beautiful painting for us. 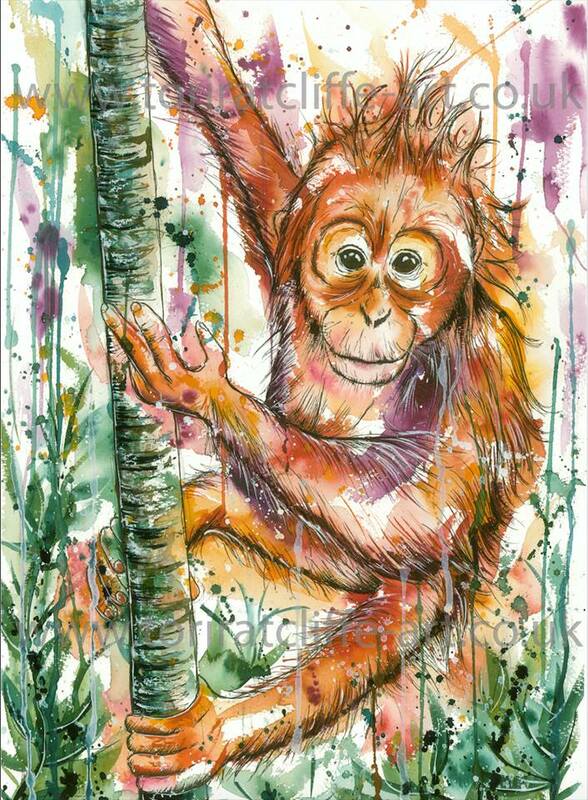 She is very generously donating the original painting to whoever raises the most funds during Orangutan Relief. Tori will also donate five prints to the five next highest fundraisers. Tori still needs a title for the painting, so we are opening it up to our followers to make suggestions – the person who makes the winning suggestion will also win a print! Comment on this post with your idea for a title, and don’t forget to sign up for Orangutan Relief if you haven’t already done so. If you can’t wait to see if you’ve won a print, you can purchase one directly from Tori’s website – 50% of each sale will be donated to Orangutan Relief.